May you enjoy the time spend with ur mom. This is so colourful, Monica! I hope you're having a great time with your mom. I hope you don't mind, I tagged you http://wondermom.info/?p=56. Monica thank you for the link. I just thought that monica is your username for twitter...hee ..sorry. 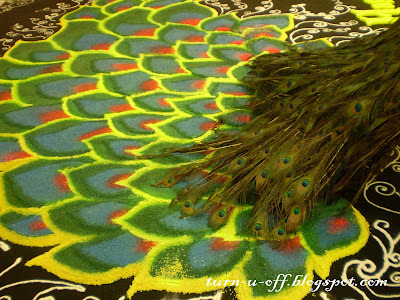 have a great weekend and happy deepavali! I am working hard today to get some drops done. I was lazy yesterday. 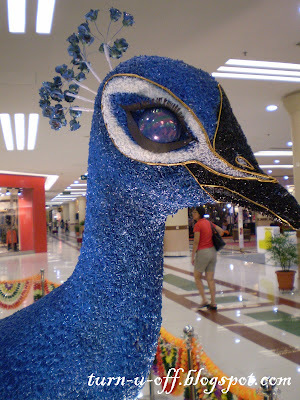 Nice peacock. Hope you had a great time with your mom! 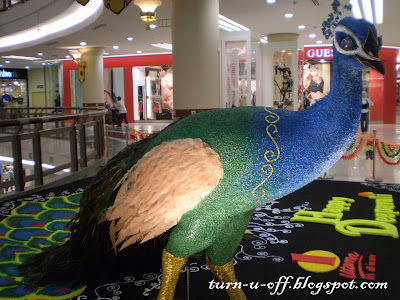 i saw the peacock in one-u from afar. i was stoned for a moment coz i tot it was real! Hi Monica, love those decor peacocks. Vey nice. Have fun with your mom's visit. I just came back from Penang!!! Nice colors. How come I missed out on this post? The peacock stands out most. I was working on that day. Hehehe Nasib lah only got muruku. At least not so bad! Simply superb. I hope you enjoyed your holidays.